Todd Kuchman is an entrepreneur and elk hunter in Colorado who wanted a bullet that would boost his chances of hitting his target. So he invented the Multiple Impact Bullet, a unique new round that, upon firing, splits into several fragments connected by ballistic-strength fiber. The fiber holds the shrapnel together in a Y-shaped pattern, which makes for much better accuracy than a shotgun's blast of pellets. That minimizes the chances of hitting unintended people or things, said Kuchman. The bullets spread to a diameter of 14 inches for handguns and 24 inches for long guns. The fiber itself, which is spooled up inside the core of the slug, slices paper targets to ribbons, but does only "superficial" damage to flesh, Kuchman said. They're intended for self defense, says Kuchman. 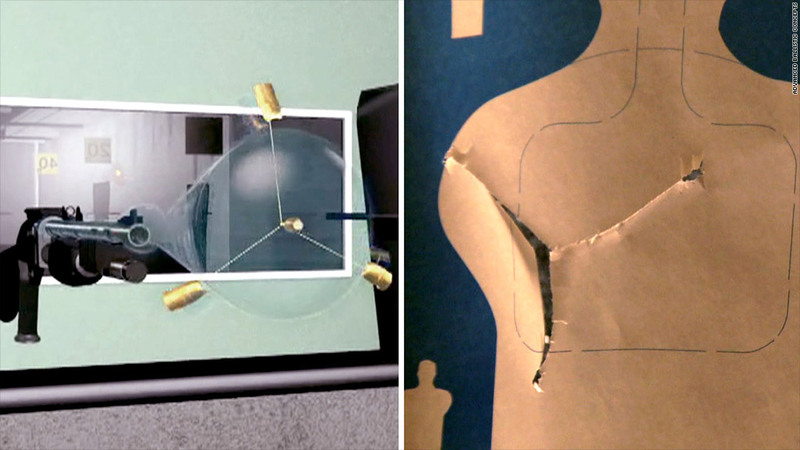 Multiple impact bullets improve the accuracy of nervous, would-be victims with unsteady hands by giving them several chances to hit their target with just one shot. The company uses slogans such as, "Because you can't afford to miss" and "First hit advantage is everything!" Todd and his brother Jaye, who refer to themselves as the "bullet brothers," founded the Denver-based Advanced Ballistic Concepts, or ABC, in 2010 and launched their new bullet on Jan. 6. The company says it already has $100,000 worth of orders. "It's been selling [like] gangbusters," said Kuchman. "In fact, our web site crashed after our initial press release." 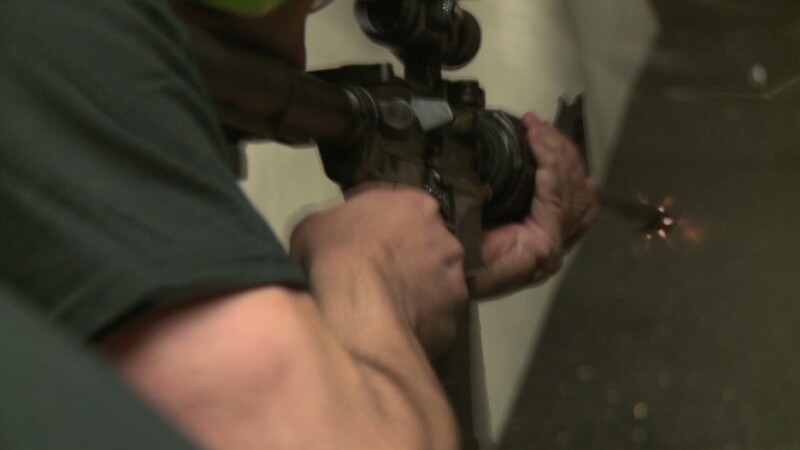 The ammunition is available on ABC's web site, as well as at some Colorado gun stores. The 10-round packs of .45 bullets for handguns and 12-gauge slugs for shotguns run about $50 or $60. Soon, 9mm will be available also. ABC employs a full-time staff of 11 and about 90 part-time assemblers. Earl Griffith, firearms technology expert for the U.S. Bureau of Alcohol, Tobacco and Firearms, said that generally speaking, any bullet is legal as long as it can't pierce armor. While the Multiple Impact Bullet is certainly innovative, says Wedbush gun analyst Rommel Dionisio, it will be tough to break into a market dominated by "tried-and-true" brands like Winchester and Remington. Dionosio said it might take extensive testing, which could take years, and maybe even adoption of the ammunition by a major law enforcement agency to give it the credibility it needs to succeed in the consumer marketplace. The Kuchmans grew up on a farm in a relatively rural section of New Jersey where they learned to hunt and fish. Guns were a way of life. Todd Kuchman has invented various products over the last 12 years, including the Scratch-less Disc, which fell by the wayside in a digital world. ABC already makes several other types of ammunition, specializing in "green" metals free of lead. They include the Stinger, a bullet that's advertised as "less lethal" because it's made of aluminum, plastic or rubber. It also sells the Stunner, which inflicts more serious damage, but is designed to not pass through walls. "Our mantra is perpetual innovation," said Kuchman.